Ant McPartlin gets roped into a dangerous stunt on tonight's episode of Britain's Got Talent. A knife wielding magician finds himself a not so glamorous assistant in the form of the Geordie presenter and swipes a machete near his head - blindfolded! 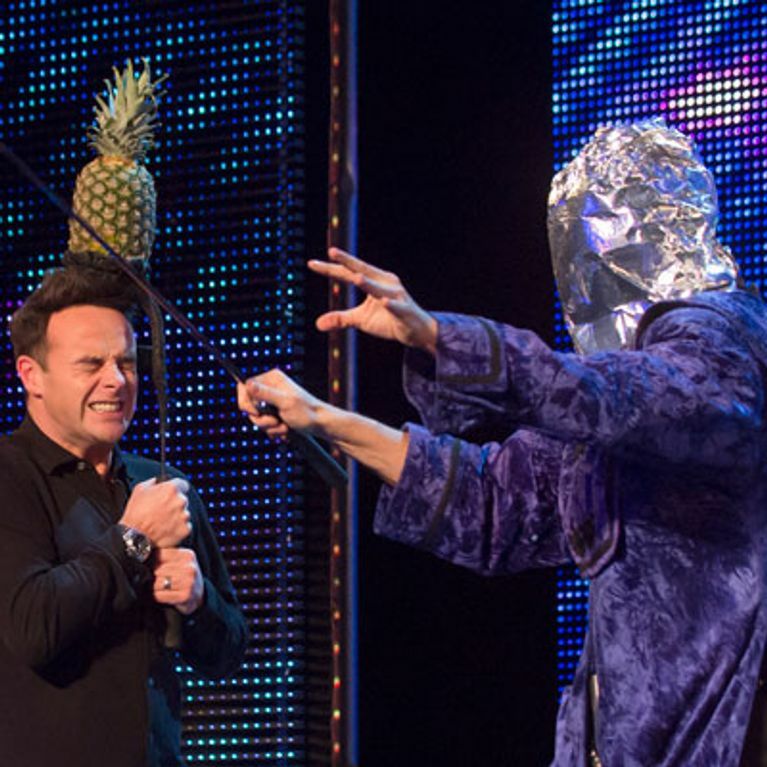 Britain's Got Talent plays host to a death defying magician tonight, who he brings host Ant McPartlin on stage to face his blindfolded knife trick. Silent magician Aaron Crow arrives on stage to perform his stunt with a willing volunteer, a pineapple and a huge knife. He starts the trick by pouring candle wax on his eyes and further covering his face to block out all vision. He then requests a member of the audience steps forward. Ant, 37, says to co-host Delcan Donnelly at the side of the stage: "You wouldn't get up and do that, would you? If he's walked up to you with a Samurai sword." Dec, 37, responds: "You're not going to turn him down either though, are you?" 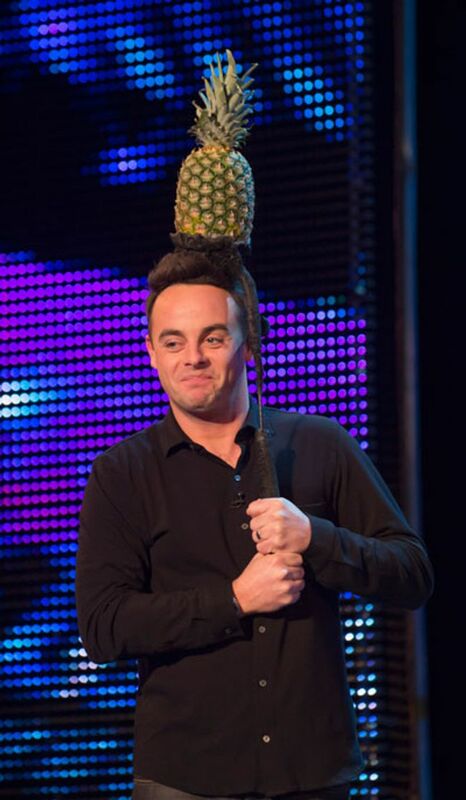 Ant is unaware that he's about to be chosen for the stunt, during which a pineapple is placed on his head for Aaron to chop. Ant jokes: "Really, me? Not the other one?" Luckily there are no accidents, but that's not to say Ant doesn't find the whole experience rather frightening. He says afterwards: "I was genuinely terrified as Aaron was coming towards me. All credit to Aaron though, it was an incredible act. Everyone was on the edge of their seats." Dec is grateful to be playing second fiddle to his partner in crime this time: "I have to admit I'm glad I wasn't on that stage! Watching Ant from the wings was pretty nerve wracking. "I mean, if anything had gone wrong it would have been the end of our career!" The 53-year-old then suggests another possible volunteer for a second round of the trick - his fellow judge David Walliams. Tonight's show will air in the midst of some controversy, as reports have emerged that many of the BGT performers are already professionals. Last week's hit dance troupe The CEO Dancers have performed with Rita Ora in the past, while 'sandwich makers’ Richard and Adam Johnson are a singing duo who have spent the past year performing at venues around the country and singing on P&O cruises.